Whether they will win hinges on a battle of wills belonging to Gov. Andrew Cuomo, Mayor Bill de Blasio and a yet-to-be-named six-member panel that will decide who pays what in a bid to raise $15 billion to fix the Metropolitan Transportation Authority’s subway, train, bus, bridge and tunnel system. Hours after the state Legislature and Cuomo backed the plan, part of the $175 billion fiscal 2020 state budget, drivers’ cries of “Unfair!” were near-deafening. “Not a nickel goes to roads in a state where 69% are considered in bad or mediocre condition,” said Robert Sinclair, spokesman for AAA Northeast, the motorists advocacy group. The tolls will start no sooner than Dec. 31, 2020, south of 60th Street, with exemptions for the FDR Drive and West Side Highway north-and southbound express routes, according to Cuomo’s office. Pricing and hours will be set by a review board under MTA’s Triborough Bridge and Tunnel Authority. It also will consider whether to grant exemptions to disabled motorists and credits for tolls on bridges and tunnels that enter the zone, as Cuomo and de Blasio had suggested in February. Though a study last year proposed flat daily charges of about $11.50 for cars and $25 for trucks, the budget passed April 1 doesn’t specify fees. 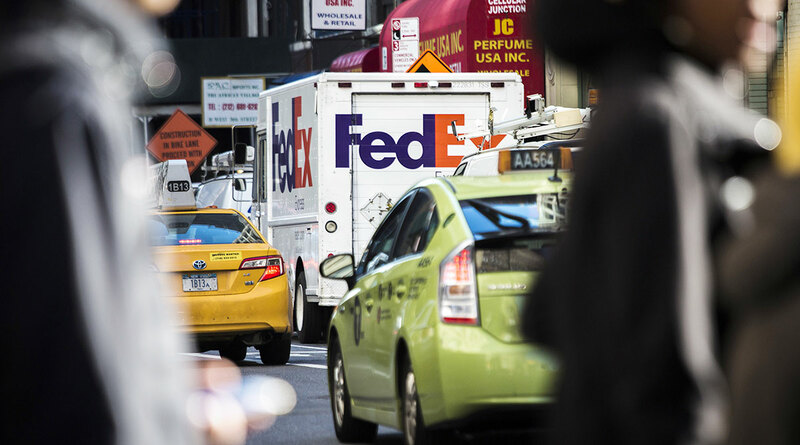 The lack of detail is “concerning,” said Kendra Hems, president of the Trucking Association of New York, whose members include UPS Inc. and FedEx Corp.
“We feel very strongly that commercial vehicles should be exempt — they provide a critical service to New York City,” Hems said. In a March 29 letter to Cuomo, New Jersey Gov. Phil Murphy said he understood that credits would apply to drivers heading to Manhattan via the Lincoln or Holland tunnels, with tolls as high as $15. But travelers on the George Washington Bridge, if they continue south of 60th Street, wouldn’t get the same benefit, he said. “If George Washington Bridge crossings are not credited in the same way as passage via the Lincoln or Holland tunnels, congestion will undoubtedly increase at those crossings, which are already in significant need of repair,” Murphy wrote. The plan also will generate greater crowds on packed New Jersey Transit trains and buses, and Port Authority of New York and New Jersey subways, he wrote, and he asked for some congestion-pricing revenue to support those systems. Uber Technologies Inc. and Lyft Inc. passengers in February started paying $2.75 per-trip surcharges for Manhattan rides that begin or end south of 96th Street, while those using Via Transportation Inc.’s fixed routes pay 75 cents. Taxi customers, who pay $2.50, may be exempt from the congestion plan, according to Kate Slevin, a senior vice president at the Regional Plan Association, which studies metropolitan New York development and quality-of-life issues. Two Massachusetts lawmakers are sponsoring legislation to require traffic studies and start congestion pricing at Boston’s heavily traveled Sumner Tunnel, which sends travelers through East Boston to Logan Airport. The average Boston driver lost 164 hours to congestion in 2018, according to Inrix, a transportation analytics company that ranked Boston the most traffic-clogged U.S. city. Last week, the Southern California Association of Governments called for a test of “Mobility Go Zones,” which it says could cut travel time by 24% during peak hours and raise almost $70 million a year. In Seattle, officials are awaiting study results after Mayor Jenny Durkan suggested congestion pricing there. In New York, opponents were lining up even before lawmakers voted for the plan. The Center for Disability Rights said anyone who has accessible-parking placards should be exempt. Taxicab drivers, rallying outside Cuomo’s Manhattan office in February, said they were hurt by the $2.50 surcharge, and worried about their customers’ paying congestion pricing, too. Last year, at least eight for-hire drivers took their own lives. Some had been burdened by debt amid the plunging value of taxi medallions and soaring competition from app-based services. Drivers now can least afford to lose customers, said Bhairavi Desai, executive director of the New York Taxi Workers Alliance.